The temperature was minus 17.1 degrees on 4 o'clock in the morning. 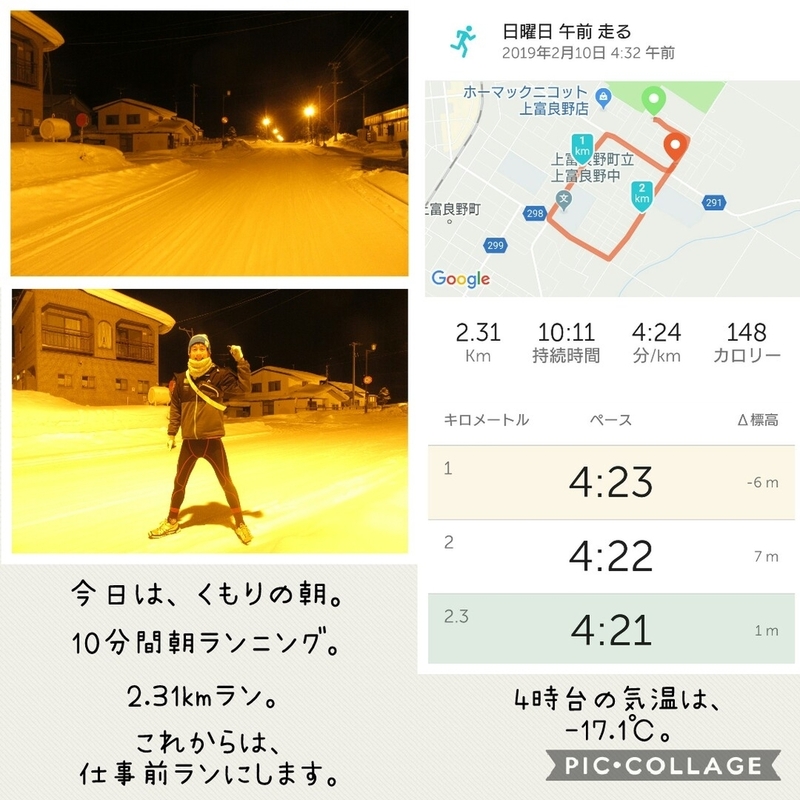 I run 10 minutes and 2.3 kirometers. The guests who come from Sendai,Tsu,Sapporo had departured Stella today. 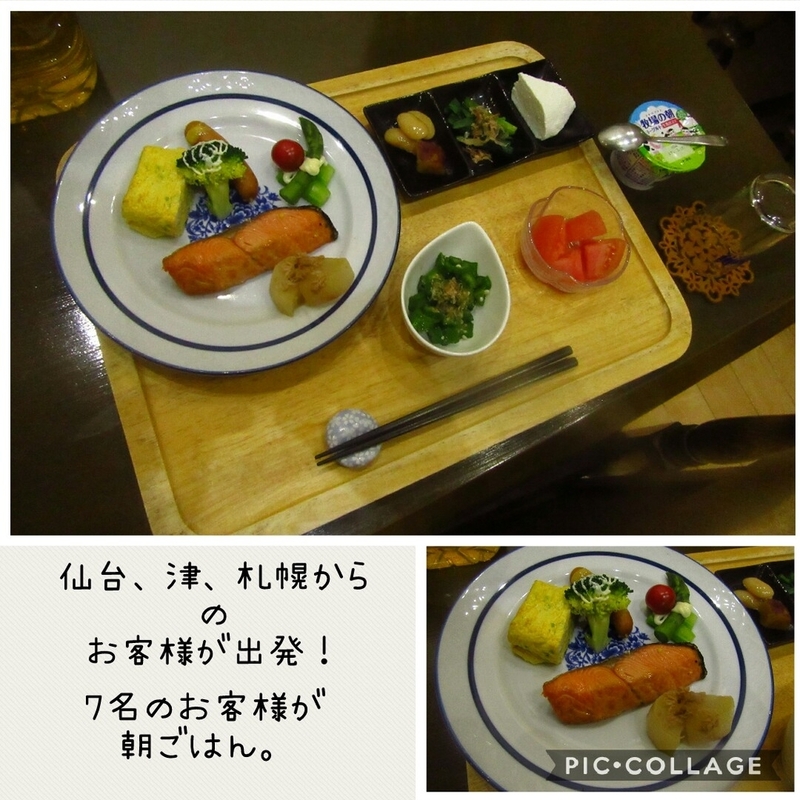 7 guests had breakfast together. I went to Nakafurano station for guests who come from Tahiti. 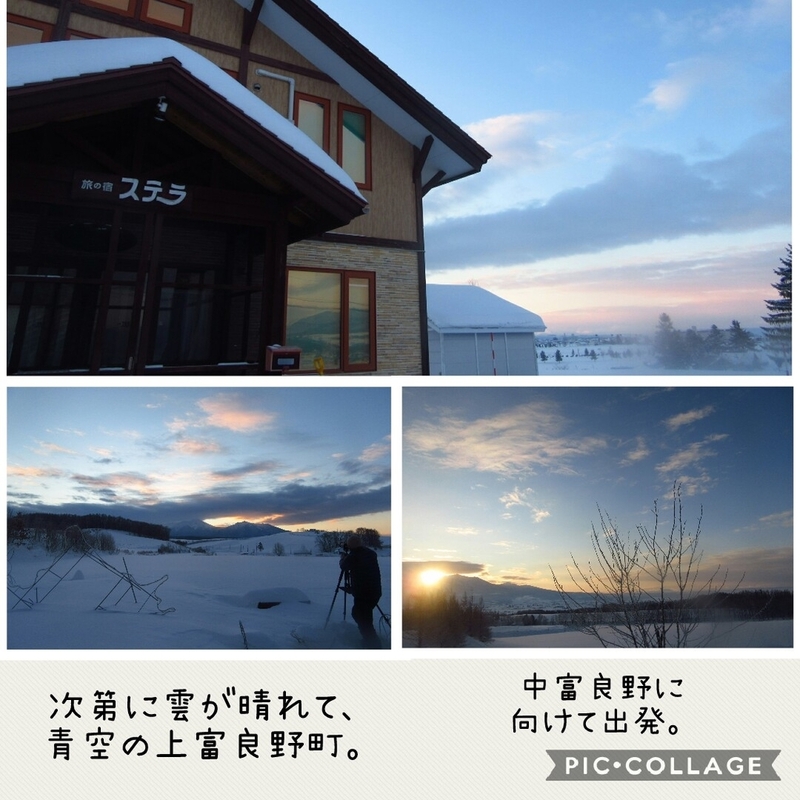 When we departured Stella, we could see blue sky. From Tahiti guests joined Hot air baloon activity today. I watced them for study. 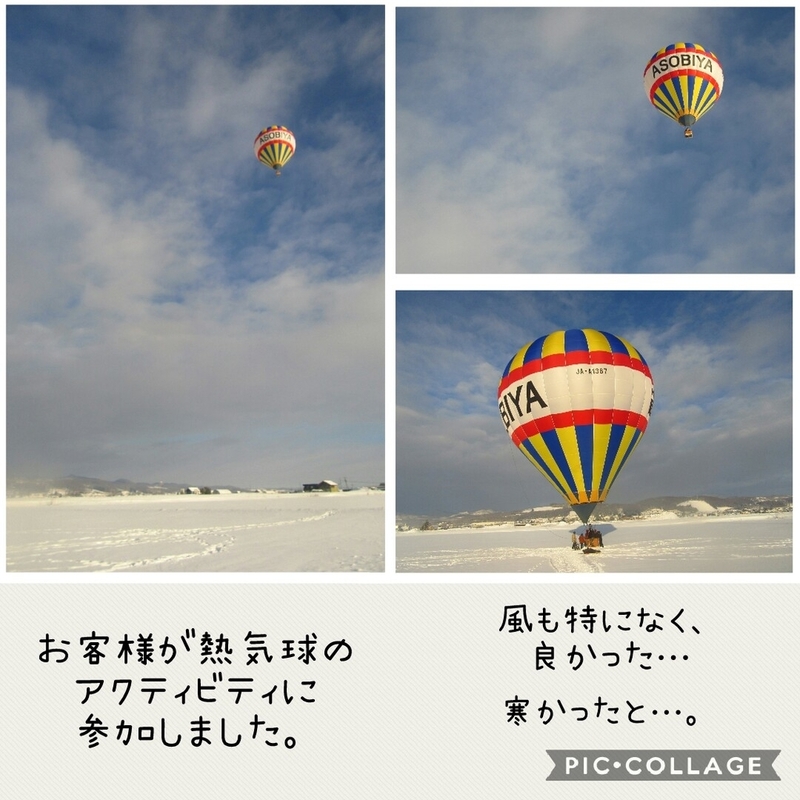 They flied about 40 minutes by Hot air baloon, after they finished in snow field. 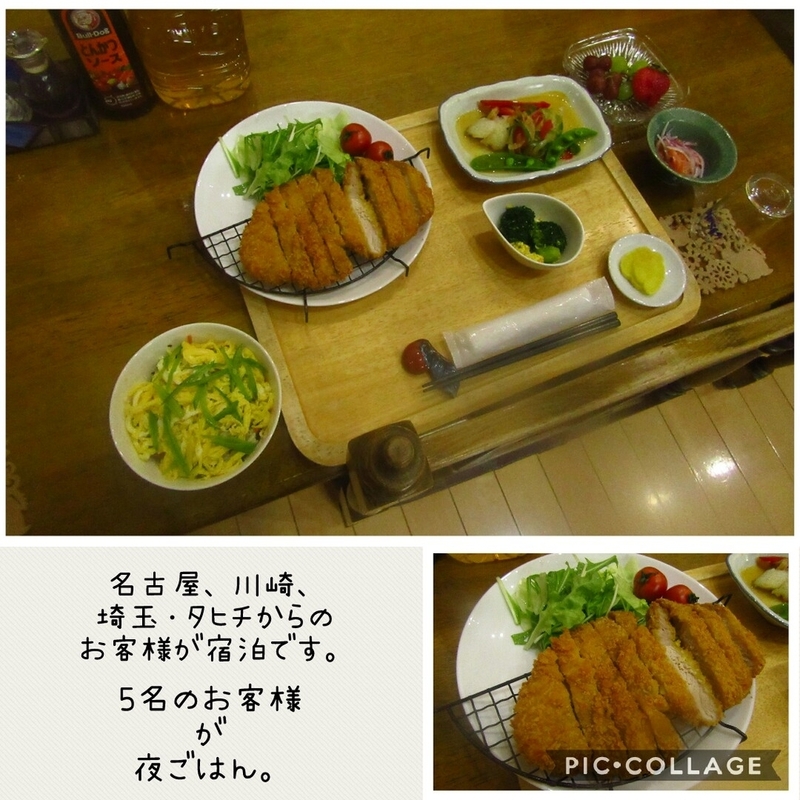 They said, " it was very cold, but biew was very good！"
5 guests had dinner together. 11th will be cloudy in town.